On January 4th, 2016, Northern Texas District Judge David C. Godbey sentenced 53-year-old William Stanley to 37 months in federal prison. His crime? Attempting to extort money from over 40 individuals and companies, including multi-national conglomerate GE, by using threats of negative SEO and damage to their online reputation if they didn't pay up. One could say that an additional charge of debilitating stupidity could be applied to Mr. Stanley for threatening a company with such outrageous techniques. Most legitimate SEOs would scoff at such threats, but there is much we can learn from this case. Despite being a discipline that is decades old now, SEO is still shrouded in enough mystery to allow Stanley to induce a company the size of GE to send him over $100,000 in extortion money. This is not an indictment of any of his victims, but it does illustrate how intimidating the vast web of knowledge related to search engines is for many businesses. We've been programmed as SEOs to focus on the algorithm rather than the intent behind algorithm. For many years, the focus of many industry blogs has been almost entirely tactical in nature. We've been programmed as SEOs to focus on the algorithm rather than the intent behind algorithm. And because of that, SEO as a discipline has historically been a very siloed skillset. Designers design. Developers code. Marketers focus on ads, branding and corporate messaging. And the C-Suite tries to galvanize all of these disparate teams into a cohesive unit. 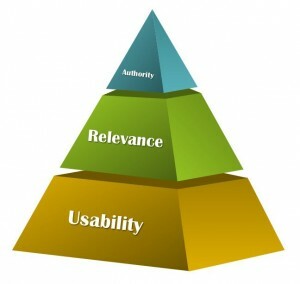 Then, often as an afterthought, the SEO steps in and disrupts everyone's processes. Why? 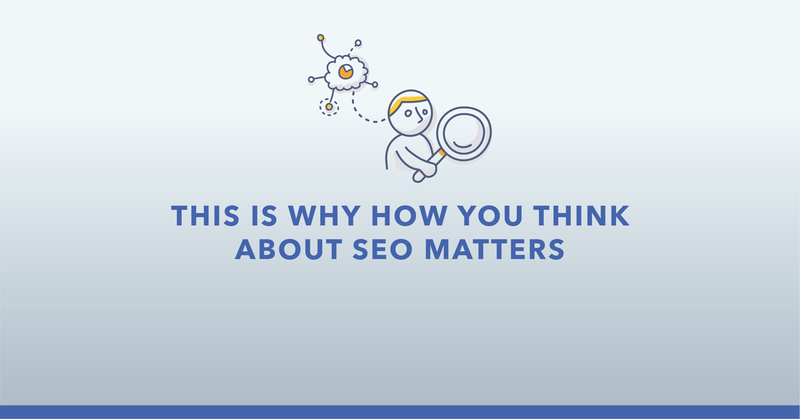 Well, SEO, in addition to being a mysterious discipline, has more often than not been applied after the fact, and as a result, it has had to be tactical rather than strategic. This is precisely why we at seoClarity have been talking so much in the past year about the need to universally change how we think about search, and it's why 2016 is The Year of Search Experience Optimization for us. Shifting our mindset away from chasing the algorithms to focusing on the user experience as a whole acts as a ballast against the unsteady tide of continual algorithmic changes. In our URA SEO framework, Usability and Site Health become the foundation of your efforts, and upon that you can build Relevance with a spectacular Content Marketing strategy. All of this adds up to earned Authority, which is comprised of earned links, earned social signals, increasing brand equity, and overall domain strength thanks to delightful Audience Engagement. Additionally, when an entire organization is aware of how each of their roles affect (and can benefit) the search experience, including rankings and user engagement, websites gain a relative invulnerability to small-scale attacks and minor fluctuations in the algorithms. This is why I've personally preached "Democratization of SEO" for years. In a democratized environment, developers understand the importance of coding pages that are crawlable, systems administrators can see why fast server response times are vital, content writers do more than just fill in words around high-volume keywords, and marketers, PR and executives understand how building a great brand is essential for the search experience. So, can this new framework and mindset protect companies from negative SEO attacks? The short answer to this is "possibly." 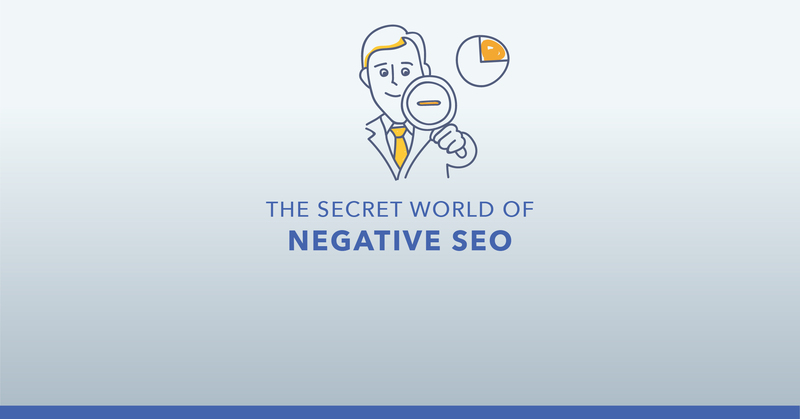 All of the types of negative SEO out there aren't fully known yet. But I can say that, in the case of GE and Mr. Stanley, much of what Stanley threatened wouldn't have had a tremendous impact. "Illegitimate and illegal SEO activities" – A solid brand and a consistent history of delighting users can't be completely overtaken by someone buying thousands of toxic links for your site. The simple submission of a disavowed link file would neutralize this kind of attack, if there was any impact. Fraudulent comments – If comment spamming had any impact, I might suggest that a simple online reputation monitoring effort would help avert any problem. But again, a solid history of showing that you care about your users would most likely prevent this from impacting your site directly. Creating negative reviews online – For local businesses and global businesses with local presences, reviews are a big deal. Certainly, if the overwhelming majority of reviews of your business are positive, a few negative reviews won't be terribly detrimental. But the fact is that most sites that allow reviews also allow businesses to dispute their negative reviews. And, in this case, GE, as a multi-national conglomerate, shouldn't be terribly impacted by local business results. What we can learn from this case is that some large organizations still think of SEO as it was years ago, when a company's reputation, indexation, and ranking could all be negatively affected by one lone SEO with a grudge. They think of the now-ancient Google-bombing attacks that labeled then-President George W. Bush as a "miserable failure." And they're unaware that the industry, along with Google's algorithms, has changed (several times) since then. As a result, they're easy prey for the likes of Mr. Stanley. Shifting our mindset away from chasing the algorithms to focusing on the user experience as a whole acts as a ballast against the unsteady tide of continual algorithmic changes. Let's hope that when Mr. Stanley exits the federal penitentiary in 37 months, the rest of us SEOs will have rehabilitated the way businesses engage in SEO. Hopefully with a little democratization and a shift in perspective, we can drag that old mindset out of the dark ages and into the light. If you'd like to hear more about our URA SEO framework, stay tuned as we release more information in the coming weeks, and join us locally at our CLARITY Academy Live events if we're in a town near you. You can also register early for our global search conference, Clarity '16, now.